About eight years ago I found myself in need of a place to store all of my earthly possessions as I transitioned out of my home and into a new phase of my life. Timberwest Storage came highly recommended and I found that they could not only accommodate my needs but the manager of the facility helped me decide which of her units would be the most suitable for me, long-term. Over the course of the next eight years I, and members of my family, had numerous short-term storage needs and smaller units were aleays available. Additionally, over the course of those eight years, I found the manager of Timberwest Storage, Peeps Kavanaugh, to be professional, interested in her client’s needs, and sincere in her efforts to maintain and improve the property. The facility was always well maintained and clean and numerous surveillance cameras provided additional security. 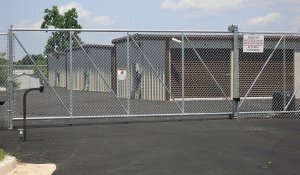 I would highly recommend Timberwest Storage for any storage needs. I've rented storage units all over the country and the staff here are very helpful and really care about you this is by far the best place I've ever rented from thanks for all of your help! 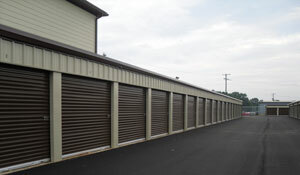 This is the best storage business in town. It is affordable, and the customer service is outstanding. The manager is extremely professional and very, very pleasant to work with. I was impressed by the cleanliness of the property, and it is very secure. Don't waste your time searching for any other places. Stick with Timberwest Storage! 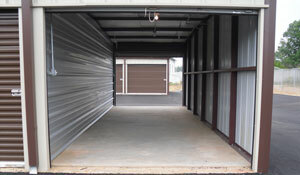 This is the best storage facility that I have used. The place is always clean and neat. The facility is easy it get into and out of and is well lite for nighttime access. The manager is friendly and very helpful. Best storage unit I've used! I have moved four times in the past four years so I have quite a bit of experience renting storage units, and I was so happy with Timberwest that I wanted to take the time to write a review. The price, location, and unit itself were all perfect and the customer service was outstanding. Peeps is one of the sweetest ladies I know and remembered me and where I told her I was traveling to an entire year after we met for just a day. I left her a message on a Sunday night and she called me back immediately even though it was after hours. This is a locally owned business and I can tell they make a point to get to know and remember their customers. Very impressed! Very impressed with the facilities and especially the first class help from the office. Very affordable! I would tell anyone I know to use Timberwest!!!! Excellent over and beyond customer service! Great Price and so easy to work with! Locally owned & operated and that makes all the difference! Convenient location to most of Lynchburg as well. Great service. Easy access. Great price! Felt safe with the security. Our experience has been nothing but pleasant. The location is convenient and the personal customer service we received has been spectacular. I would highly recommend this facility for anyone looking long term or short term rentals.